The Chinese Billionaire, Jack Ma walks the talk. 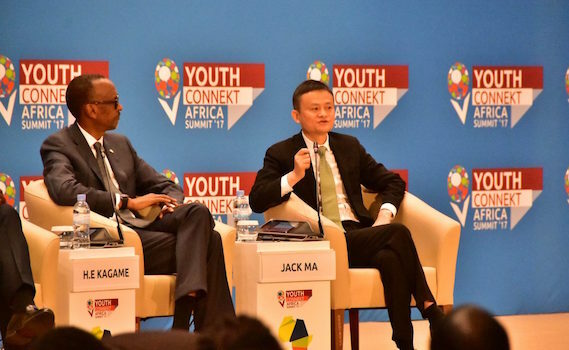 The Alibaba Executive Chairman announced during a recent visit to Rwanda and Kenya on the sidelines of YouthKonnekt Africa summit that his eFounders Initiative Entrepreneurship Training Programme, would offer training to African startups. Taarifa has learnt that executives from three Rwandan companies flew to China on Wendsady to begin the traning course. Mergims, a Rwandan Fintech firm, is among the three Rwandan startups. Mergims COO, Paola Heza Kirezi, took the flight on Wednesday night. The other two firms attending are GO LTD, represented by Dioscore Shikama and Pikkostores Ltd represented by Ishimwe Emannuel. 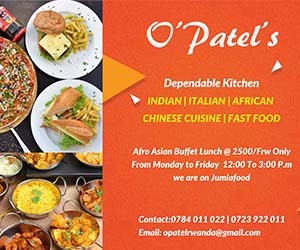 Pikkostores.com is an online shopping and selling platform in Rwanda providing customers an great shopping expereince and retailers with simple and direct access to the largest customer base in east Africa. Meanwhile, the pilot eFounders Initiative Training Programme is slated to kick off in Hangzou, China from November 10, to November 23, 2017. The scheme runs in the city of Hangzhou and is organised jointly by the Alibaba Group and the United Nations Conference on Trade and Development (UNCTAD). It will explore ways to advance and develop e-commerce in Africa. Except for the travel to China that will be financed by the participants, Alibaba Group will cover their transportation, accommodation and meals while in China. Ma, who advises the UNCTAD on small business and young entrepreneurs, believes in using e-commerce to drive development on the African continent and considers that the internet should be a utility available to the whole world. During his trip, Ma pledged to support African startsup and work with African universities, governments and entrepreneurs to develop training programmes in areas such as e-commerce, artificial intelligence, big data and cloud computing. The eFounders Initiative Entrepreneurship Training Programme includes a two-week course at the Alibaba Business School and will take 25 entrepreneurs from throughout Africa to learn from e-commerce companies Alibaba, Taobao.com and Tmall.com.